This mod adds playable musical instruments that you can play from a computer keyboard or an attached MIDI keyboard. It is currently in early development.. The playable range is two octaves. Alpha releases are intended to gather player feed back. Please exercise caution and backup your worlds before trying it out. Bard Mania depends on the Obfuscate library. Play animation. The arms move when notes are played. 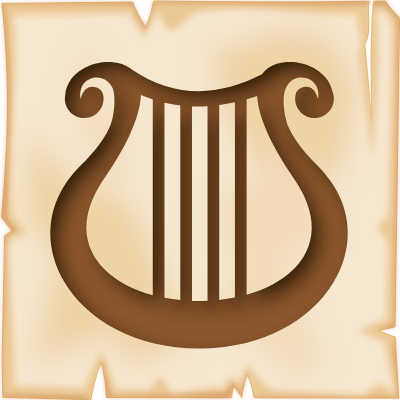 To do: Musical instrument inspired MOBS that players will need to hunt and kill to get materials for crafting instruments. To do: Improve MIDI options. Allow selecting the input device and saving it. Possible: 3-4 octave range depending on instrument. Requires multiple sound files per instrument. To do: Recipes and Achievements. Use Creative or give yourself instruments. To do: Your reasonable requests. 2018-07-24: [E_Icy_Two] When playing music, parrots around the player will dance. 2018-08-29: #3 Sustained notes for recorder and flute. 2018-09-07: #6 Fade out background music when player begins playing. Hold the instrument in the players main hand. PC Keyboard Mode (default) - GUI opens, then press the keys on the PC keyboard or mouse over the key names and left-click them to play. Press the 'Esc' key to exit the GUI. MIDI Mode - If your PC and MIDI keyboard are setup correctly just play normally. To stop playing either switch to another hot-bar slot, or Right-Click to unequip the instrument. Shift-Right-Click toggles the input mode between MIDI and PC Keyboard. The volume level of the instruments is adjusted using the Players volume slider in the Minecraft Options | Music & Sounds dialog. The MIDI implementation in this mod is promiscuous. When active the mod opens any non-sequencer devices and listens on all channels. This can can be adjusted via the mod configuration GUI or file. I use KeyStation 49 and MidiPlus AKM320 keyboard controllers for testing. Third-person view rendering and/or animation artifacts when switching between instruments. Incomplete main as left-hand support for the flute. Ive been waiting for something like this for years, being able to use MIDI Keyboards to play instruments. Is there any chance this would be on 1.7.10 in the future? This would make a great addition to a modpack that I own. 2: I have issues with keyboard input, because I use Hungarian keys, where Y is Z, and I don't really want to change keyboard settings. Using my Android as MIDI keyboard didn't work either because under Linux is a bit different, sometimes problematic. I'll add that as a request. Android is a wildcard, and Music/MIDI under Linux based on past experience (most likely outdated) takes a bit of work to setup. Add USB to the mix to complicate things more. Android can't use any Javax classes as I understand it. MIDI support is provided by other libraries. Setup and use is probably tied close to the phone/OS version and app/tools available. I can't really provide any help on that front. Bard Mania is setup to listen on all channels and devices it finds on purpose. It tries hard, but you can't know ahead of time what OS, or devices are in use. It's a best guess, with no guarantee. The Hungarian keyboard, or for that matter, any locale would have a different setup than US based system. I'm aware of that limitation at the moment and I'd have to see how best to implement that. JAVA itself does support locales, but the game library LWJGL works with key-codes and/or characters. Adding custom mappings to the Bard Mania config might be an easy way to solve it in the short term, but a better understanding of JAVA and LWJGL and the basing it on the selected language version in Minecraft would probably be best. 4: In qjackctl I connected my phone (in a2j group, not in it's own group) to zynaddsubfx midi_input, and of course zynaddsubfx's 2 outputs to the system's 2 playbacks. Last step: in MIDI Keyboard app the "Receivers for Keys" is "#4, Android USB-perifériaport"
You won't see Minecraft advertise any MIDI devices related to Bard Mania. Bard Mania only tries to query any open MIDI transmitters it finds. It will not open a sequencer. When in MIDI mode, equip an instrument and RIGHT-Click to activate. Open the player inventory and hoover the mouse over the instrument you are using. In the picture below two devices were found, the Keytation49 keyboard and a control pad built into the keyboard. This link http://tedfelix.com/linux/linux-midi.html Has some information on using a "A Virtual MIDI Keyboard" that may be useful for testing within the OS itself. So your Android is running Minecraft JAVA edition?! 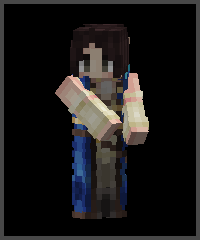 If you can hear Minecraft sounds and music Bard Mania will at least work in Keyboard Mode. But as you say the keyboard layout needs to allow Hungarian mappings. What version of JAVA does your Android use? From what I've read, the javax library is not available on Android. So javax.sound.midi, which Bard Mania depends on would not be available to Minecraft java edition. Sound in Minecraft JAVA edition is handled via LWJGL and PaulSound. Can you make it possible to execute a command after a certain combination of notes? Would be so neat to use it like the ocarina from Zelda. I've seen some Ocarina mods around. I'll add this request to the wish list. It ties in with a request to add configurable key bindings. I've been working on another mod recently in my spare time but will eventually return to working on Bard Mania. Thank you for the request to add a Kazoo to Bard Mania. If you have any particular ideas about the shape of the instrument and sound files to reference please open a feature request using the issues link. So, this took me about 3 hours to figure out, but this mod has a slight incompatibility with NoMoreGlowingPots. And i cant even begin to figure out why. When you have both mods installed, any instrument you play will not render in your hands. it took so long to figure out as i was spending most of my time pulling mods that added player animations and gear to try and figure it out. Here is also a link to the log of a fresh world with only the two mods installed, hope it helps! Thanks for taking the time to gather logs and troubleshoot, but please use the Issue tracker link and don't use Medafile. Use Hastebin, Pastebin, or Gist instead. I refuse to download and open files from unknown sources. That's why TEXT hosting services exist. Edit: Please make sure you are using the latest versions of Bard Mania and Obfuscate. Also, i did not know that mediafire was suspicious now, been using it for a while now. regardless i made a pastebin account. I see now, Jabelar's Truly Magical Enchantment Glints is the issue. Jabelar's code replaces the Item rendering code. I'll have to investigate that. I use the item renderer to display my items in a custom render layer. Edit: The fix is pretty simple. I just need to tell Forge to load Bard Mania after "Jabelar's Truly Magical Enchantment Glint". I'll make a release later today. Thank you so much! i did not expect a solution so fast! The updated Bard Mania version is out. Thank you again for taking the time and effort to report this. "Obfuscate" conflicts with " First Person Render"
Have you reported that to the author of Obfuscate? I've considered removing the dependency on Obfuscate. I used it because I was wanted to try it out. Which "First Person Render" are you using? I see two for 1.12. Neither one is supported at this time from what I can see. Could you add custom NPC support, so that we could have like a musical person with customizable dialogue? I'll need to see if mods like Mine Colonies or Custom NPC's have API's that I could use. I'd like Bard Mania to be compatible. I'm sure there are other mods that have custom NPCs too. There is a request for a musical NPC on the request list already. Your request adds a customizable dialog.